At Carter & Associates we are firm believers in the benefits of Indexed Universal Life (IUL) insurance as the best available financial retirement option. IULs have seen a dramatic rise in recent years, and we regularly promote them to our customers. We do not sell IULs to our clients, we seek to educate them on why we think the advantages of the policies outweigh 401Ks. A lot of brokers don't understand IULs and, in many cases, it is not to their advantage to promote or suggest them to their clients. A comparison of the two options shows clearly that an IUL will always beat your 401K and provide better benefits for your family. 401Ks were never designed or created to help people with retirement policies; they became popular when companies jumped on board and when they realized they did not have to provide a pension program for employees. Programs such as 401Ks grow in the marketplace and brokers love the arrangement because they get paid whether or not you lose money. Can you afford to lose your retirement money in a risky situation such as Wall Street? Remember, if you lose, the broker will always get paid, and will enjoy the thrill of winning. Fees and expenses for IULs vary depending on your age, and your investment/contributions. 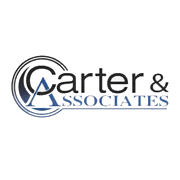 At Carter & Associates we solve for the minimum amount of life insurance, and if you need more without taking away from the investment side of your program, we will suggest a term policy. The top 1% of wealthy people in the USA use IULs for retirement, so why shouldnt you. It is a method that does not include any negatives and equates to upside potential without downside risk. As experts in the retirement insurance business, we are happy to discuss with you the benefits of the IUL option. Just call us today at (803) 731-8115.